The hotel will have three restaurants and bars, and a selection of adaptable meeting spaces with outdoor areas and terraces, ideal for hosting both business and leisure events. There will also be a spa and fitness center, offering the Group’s award-winning signature wellness programmes as well as locally inspired treatments. The hotel will have both an indoor and outdoor swimming pool. 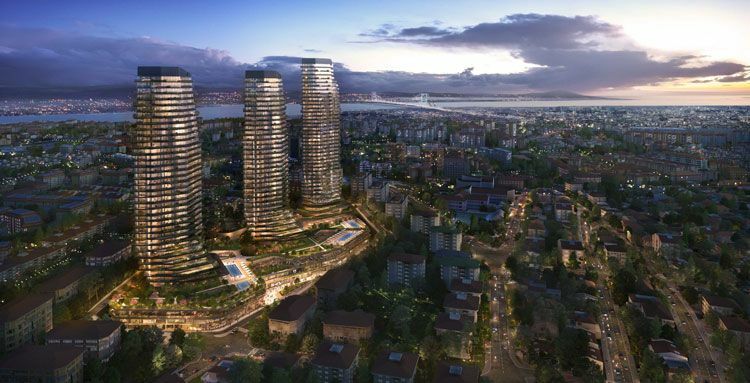 The Residences at Mandarin Oriental will feature some of the most exclusive homes in the city, providing owners with extensive private gardens and impressive views of the Bosphorus. Owners will also enjoy Mandarin Oriental’s legendary service and direct access to the hotel’s facilities. In addition, there will be a full suite of bespoke resident facilities, including two outdoor swimming pools with city skyline views, a fitness center, and six beauty treatment rooms. “We are delighted to be announcing a second Mandarin Oriental property in Istanbul, together with an exciting luxury residential project. We look forward to extending further the Group’s presence in one of the world’s most historic and vibrant cities,” said James Riley, Group Chief Executive of Mandarin Oriental. “Operating two complementary hotels in a single city is something that the Group has already done successfully in Hong Kong and will soon do in London. We believe there is room for more than just one Mandarin Oriental hotel in certain select destinations around the world,” he added. Astaș Holding A.Ş, and Yapi & Yapi specialize in the development of branded high-end real estate projects including, residences, hotels, shopping malls, and business centers. They are active players in Turkey’s construction and infrastructure sectors, providing employment for up to 3,500 people. Their projects have received many international awards for quality and design.